Tour Scotland Fiddle Tunes. Whether at special events or at pub sessions, there are always good opportunities to hear Scottish Fiddle Music on my small group tours of Scotland. Tour Scotland The Atholl Highlanders with Pipes and Drums in Dunkeld Square, Perthshire, Scotland, as part of the 200th year celebrations of the bridge at Dunkeld. The Atholl Highlanders is a military regiment. Based in Blair Atholl, Scotland, they are not part of the British Army. Instead, the regiment is in the private employ of the Duke of Atholl, making it the United Kingdom's, and indeed Europe's, only legal private army. Tour Scotland Edinburgh Grassmarket. This is a small area of central Edinburgh, Scotland, named after the old market square at its heart. 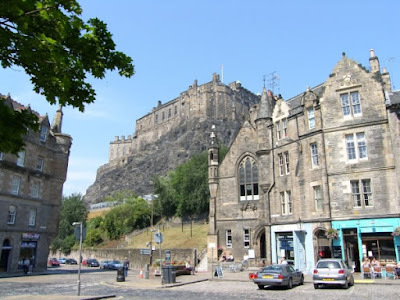 The Grassmarket is located directly southeast of Edinburgh Castle and comprises what was in past centuries one of Edinburgh's main markets, as well as the setting for public executions. The old market area is surrounded by pubs, clubs, local retail shops, and two large hotels. Tour Scotland Doune Mercat Cross. 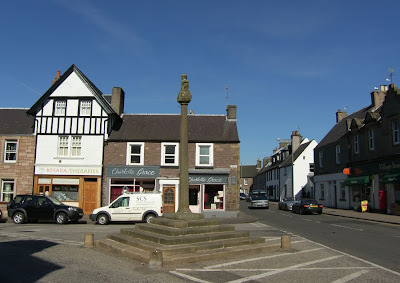 At the west end of Doune, is the little triangular market place, with its typical old Mercat Cross in the center, relic of the days when cattle and sheep fairs, authorized by special Act of Parliament in 1665, made Doune a busy place. 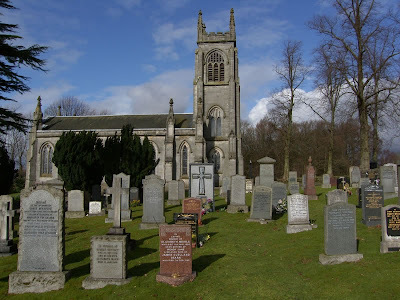 Tour Newtyle Parish Church, Angus, Scotland. 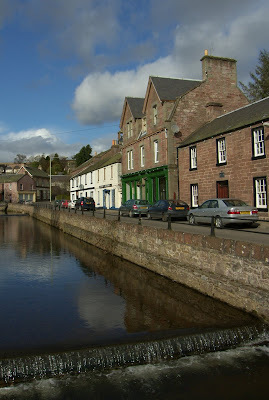 The original village of Newtyle was centred around the church and what are now Kirkton road and Smiddy road. Hatton Castle to the south and Newbigging to the north lie within the parish boundary. Tour Scotland Lecropt Kirk. This Scottish Kirk is a handsome essay in Gothic revival style, built in 1827 to the designs of William Stirling, a local architect. It is a parish church of the Church of Scotland. Occupying a superb, elevated position overlooking the carse lands, Stirling Castle and the Wallace Monument can be clearly seen from the church grounds and is located about a mile from Bridge of Allan and three miles from Dunblane. The interior is a period piece of controlled dignity and beauty, containing in its loft, vaults and monuments the influence of an old landed family, the Stirlings of Keir, built in the age of patronage. This late Georgian church is an early example of its style in Scotland, in company with the other carse Kirks of Kippen and Kincardine in Menteith. 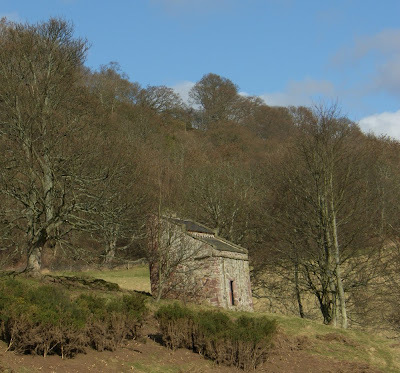 There has been a church at Lecropt prior to 1827, the old kirk was built in 1400 in what is now the Keir estate although nothing remains of the Kirk. It is known that there was a church at Lecropt prior to 1260. Tour Scotland Greyfriars Bobby, Edinburgh. 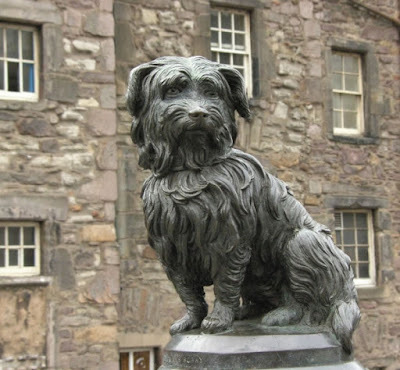 Greyfriars Bobby was a Skye Terrier who became known in 19th century Edinburgh, Scotland, after reportedly spending fourteen years guarding his owner's grave, until his own death on 14th January 1872. Bobby belonged to John Gray, who worked for the Edinburgh City Police as a night watchman, and the two were inseparable for approximately two years. On 15 February 1858 Gray died of tuberculosis. He was buried in Greyfriars Kirkyard, the graveyard surrounding Greyfriars Kirk in the Old Town of Edinburgh. Bobby, who survived Gray by fourteen years, is said to have spent the rest of his life sitting on his master's grave. Bobby died in 1872 and could not be buried within the cemetery itself, since it was consecrated ground; instead, he was buried just inside the gate of Greyfriars Kirkyard, not far from John Gray's grave. Today, a small statue of Greyfriars Bobby stands in front of the Greyfriars Bobby pub, which is located near Greyfriars Kirkyard. 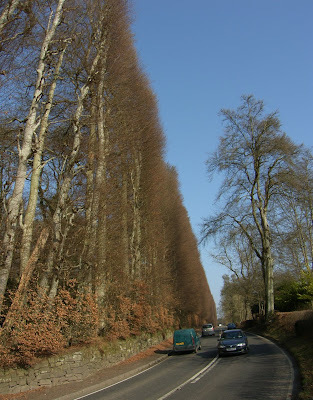 Tour Scotland March Meikleour Beech Hedge. A photograph I shot today of the great hedge of Meikleour, which forms an incredible living wall of beech trees, Fagus sylvatica, 100 ft high and a third of a mile long. Tour Scotland Niel Gow Festival 2009. Pete Clark and friends in The Taybank, Dunkeld, at the Niel Gow Scottish fiddle festival, Scotland 2009. Dunkeld Music. Niel Gow (1727 - 1807) Niel Gow, not Neil Gow, was born in Strathbraan on 22nd March 1727 and grew up in the village of Inver, by Dunkeld. How he acquired his first fiddle, and who or what sparked his desire to play, one can only guess. Niel was essentially a self-taught musician, though at the age of thirteen he did receive some instruction, from John Cameron of Gratully. He undoubtedly had a flair for fiddling and was an admired and respected exponent of the art by the time he was twenty. Having forsaken the trade of plaid weaving for a career as a musician, Niel Gow travelled extensively throughout Scotland , performing in most major towns and cities at parties and balls in the grand homes of the wealthy. 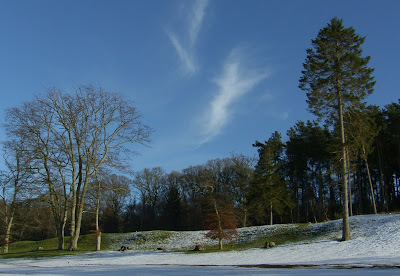 Such was his reputation, he was always in great demand, and nowhere more so than on his home ground, where he would regularly be called upon to perform at Dunkeld House and at Blair Castle for the Duke and Duchess of Atholl, by whom he was paid an annuity of five pounds. Niel Gow frequently performed solo or with Donald, his brother, on cello. When occasion demanded, the band would also have included perhaps one or more of his sons, together with Samson Duncan of Kinclaven on fiddle. The line-up may have been further augmented by piano, but this would have depended very much on where the band was playing. As a tunesmith, Niel's inspiration was all around, be it people, places or events. Although his compositions include jigs, reels and strathspeys his is perhaps best remembered for his beautiful slow airs, most of which mark the passing of relative or close friend. Tunes were, then as now, often conveyed aurally, from player to player, changing and evolving in the process. The origins of many have become obscured by the passage of time, the identity of their composers lost forever. Fortunately, many tunes are preserved on manuscript in collections such as the Athole Collection and those published by Nathaniel Gow in Edinburgh. Niel Gow married twice. His Eight children, three daughters and five sons, all came from his first marriage, to Margaret Wiseman. Four of Niel's sons took up the fiddle. (His fifth son Daniel, died in infancy.) Nathaniel, born in 1763, in particular made a name for himself as a performer and composer, and started a successful music publishing business in Edinburgh. Niel Gow's second wife, Margaret Urquhart, died in 1805. Niel himself died on 1st March 1807, just three weeks short of his eightieth birthday. He lies buried in the little Dunkeld churchyard. Tour Scotland. 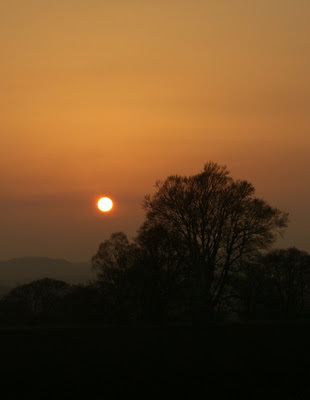 Sunset at 6.15pm tonight just outside Scone, Perthshire, Scotland. Yet another beautiful March day, the third in a row, on the East Coast of Scotland. 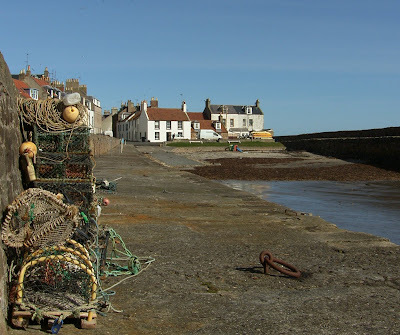 A few photographs of Cellardyke Harbour, East Neuk of Fife, Scotland. 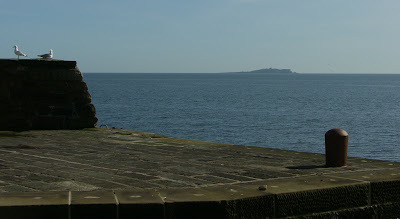 Cellardyke Harbour, East Neuk of Fife, Scotland. Seagulls, Cellardyke Harbour, East Neuk of Fife Fife, Scotland. 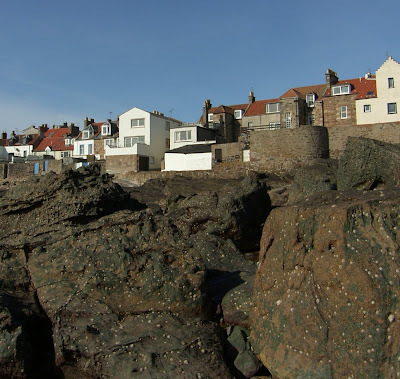 Another warm and beautiful March day on the coast at Cellardyke, East Neuk of Fife, Scotland. 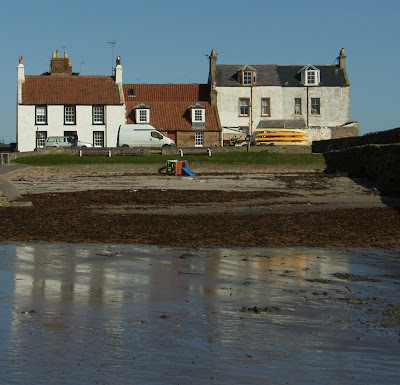 In the 1860s Cellardyke was a thriving town, with more than fifty boat owners and skippers year round, and although the fishing boats are long gone, the old fishing folks houses still hug the shoreline. 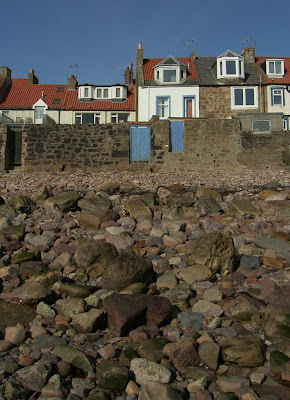 Rocks, Cellardyke, East Neuk of Fife, Scotland. 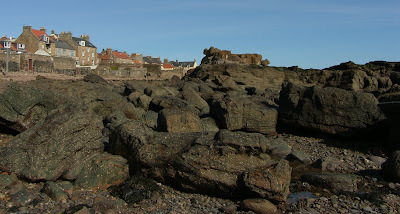 Rocks at Cellardyke, East Neuk of Fife, Scotland. 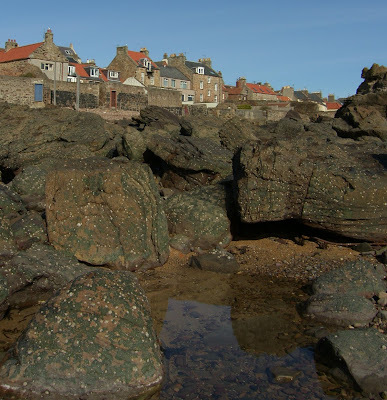 Rock pools, Cellardyke, East Neuk of Fife, Scotland. Reflections, today, at Anstruther, East Neuk of Fife, Scotland. A beautiful March morning in the town in which I was raised in Scotland. 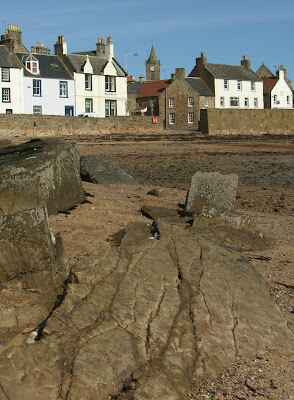 Rocks at Anstruther, East Neuk of Fife, Scotland. 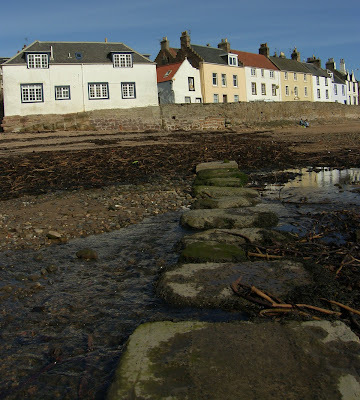 Stepping Stones at Anstruther, East Neuk of Fife, Scotland. Tidal Pools at Anstruther, East Neuk of Fife, Scotland. Anstruther, East Neuk of Fife, Scotland. Tour Scotland March Shetland Ponies. Another overcast day in Scotland. Still, there is always something interesting to photograph. 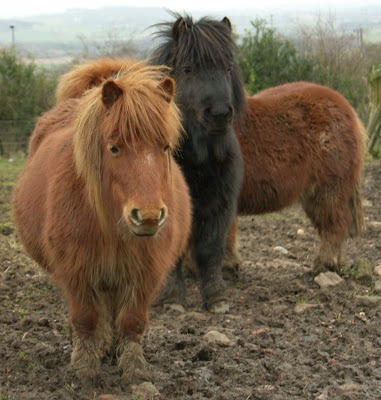 Came across this group of Shetland Ponies near Kelty, Fife, Scotland. 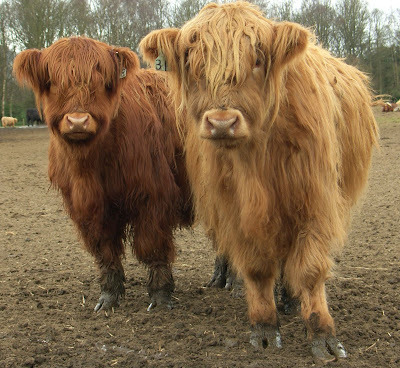 Tour Scotland Red Highland Cattle. Discovered these two Highlanders, today, just outside of Bridge of Earn, Perthshire, Scotland. Tour Scotland Black Highland Cattle. Came across these wonderful animals today, near Kinross, Scotland. 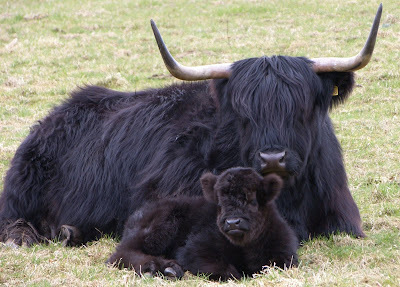 In the days of the Scottish drove roads most of the Highland Cattle were black. The black highlanders which were found originally on the Islands were referred to as Kyloes. Tour Strathmiglo, Howe of Fife, Scotland. 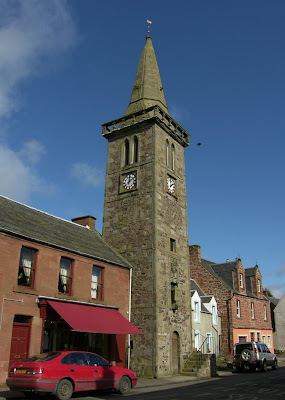 Strathmiglo High Street is dominated by the Tolbooth with its open forestair and octagonal spire. 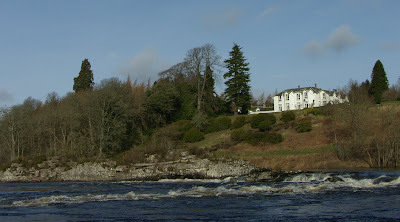 Tour Campsie, by the River Tay, Perthshire, Scotland. Tour Scotland March Photography. Though March is not the best month to tour Scotland, we do, however, get some very sunny days, as well as rain, wind, and snow, at this time of the year. And there is always something interesting to photograph. Tour Scotland Doocots. 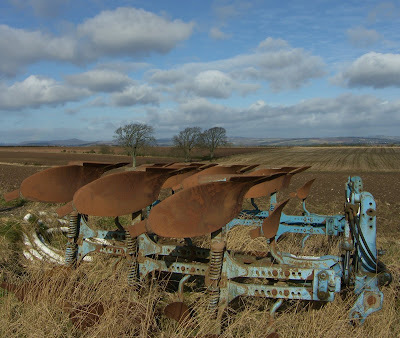 Dooocots can be seen in the rural landscape of many parts of Scotland. Pigeons provided a valuable source of year round fresh meat and eggs, adding variety to meals in the winter months. Their droppings, which built up in the dovecots, or doocots, also made an excellent fertiliser. Tour Scotland Kinnaird Castle. Kinnaird Castle, Perthshire, is not to be confused with the much larger seat of that name in Angus. This Scottish castle soars impressively on an open green knoll above the village, still occupied and in good order. 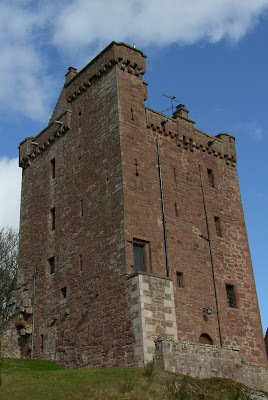 It is an interesting and dramatic place, a tall, red stone keep of the 15th century with earlier nucleus, thick walled, with a small projecting tower or buttress at one corner, which is not a stair-tower, as it seems, and highly unusual, its summit forming a watch chamber at high parapet level. Tour Aberdeen, Tour Edinburgh, Tour Glasgow, Tour Inverness, Ancestry Tour of Scotland. Best Scottish Tours, Best Scottish Food, Best Scottish Hotels, Small Group Tours of Scotland, Rent a Cottage in Scotland. Tour Isle of Skye. Tour Scotland. Ancestry Research Scotland, Birdwatching Scotland, Guidebooks Scotland, Edinburgh Travel Guides, Coast Scotland, Guidebooks Scotland, Scotland Maps, Self Catering Scotland, Scottish Whisky, Homecoming Scotland 2009, Scottish Highland Games 2009, Twitter Scotland, Tour Scotland. Tour Scotland St Matthew’s Church Perth, Perthshire, Scotland. The building's 212ft spire spears the Perth skyline. 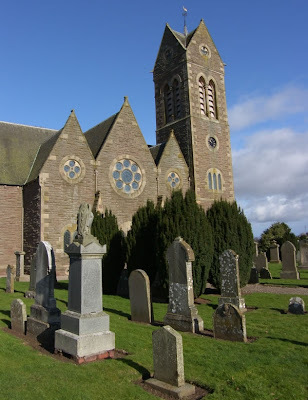 St Matthew’s is in Tay Street, which is the scenic road between the centre of Perth and the River Tay. The church is located between the Old Smeaton and the new Queen’s Bridges, which span the Tay. Tour Scotland March Horse Ploughing. Scottish Horse Ploughing, today at Radernie, Scotland. Tour Scotland Coupar Angus Bagpiper. Came across this piper today in Coupar Angus, Perthshire, Scotland. Tour Scotland March Scone Snow. After a dull and snowy start to the day, the sun came out. Took this photograph around 4pm near Scone, Perthshire, Scotland. 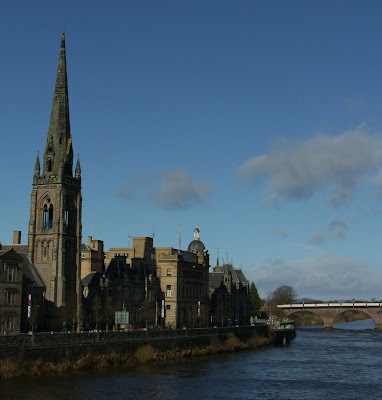 Tour Scotland March Southern Perthshire. Snow on the ground this morning in Southern Perthshire, Scotland. Tour Scotland Alyth Stovies. Had lunch today at the The Singing Kettle tearoom in Alyth, Perthshire, Scotland. Here you will find exquisitely detailed hand crafted wedding cakes, birthday cakes, anniversary cakes and christening cakes. 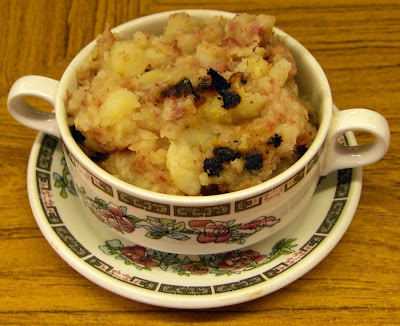 And, of course, wonderful stovies. Tour Scotland Cunningham. 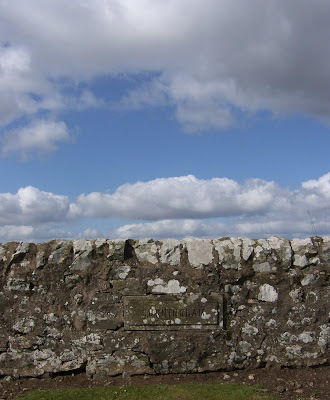 Quite often, in Scottish graveyards, the stone you are looking for is not in the ground, but in another place. Tour Scotland Alyth Burn. The village of Alyth is located on a burn, or stream, which bears its name and owes its position to a confluence of drovers' roads used by hill farmers to bring their sheep down to market.